All orders are shipped Monday thru Friday within 24 hours* of order placement. 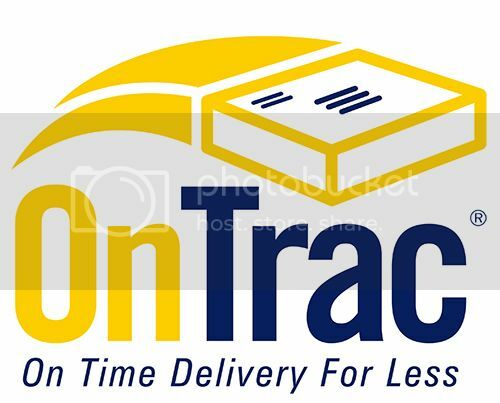 The shipping method utilized for your order may be either USPS, UPS, FedEx, or OnTrac. For international orders only, we may also utilize DHL. All orders must be received before 12:00 PM (noon) PST (Pacific Standard Time), in order for the item to ship out the same business day. We ship domestically as well as internationally. If you have any questions about domestic or international shipments, please email us via our contact page. Once a tracking number is provided by the shipping carrier utilized for your shipment, we will update your order with this information. Please note that some orders using USPS 1st Class mail/parcel will not have tracking numbers. Please wait 24 to 48 hours during normal weekdays before requesting more about tracking information. Tracking information, via their perspective shipping carriers, typically have a delay of 24 to 48 hours on their system. All orders going within the 48 Continental US States are shipped via Free Shipping. Shipping to Alaska or Hawaii will incur a $10 shipping charge due to requirements of upgraded air shipment. All international shipment rates will be based upon the item's weight and carton dimensions (used for shipping). If you require a quote for shipping to international destination(s), please contact us via our Contact page before making your purchase. When item becomes available to ship, we will ship the rest of the order at that time and notify the Buyer of his/her shipment. You will not be charged any additional shipping and handling for the backordered shipment. We can cancel your order and refund the entire purchase. Please feel free to contact us at [email protected] for any further concerns or inquiries.